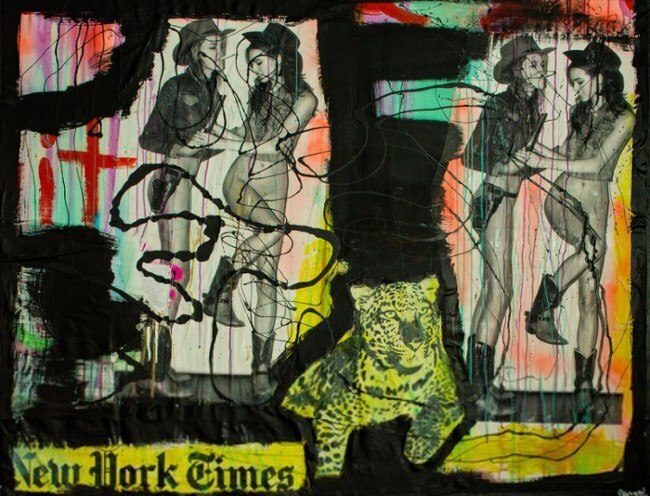 Harif Guzman is a prolific Venezuelan-born contemporary artist and fashion designer, currently based in New York. 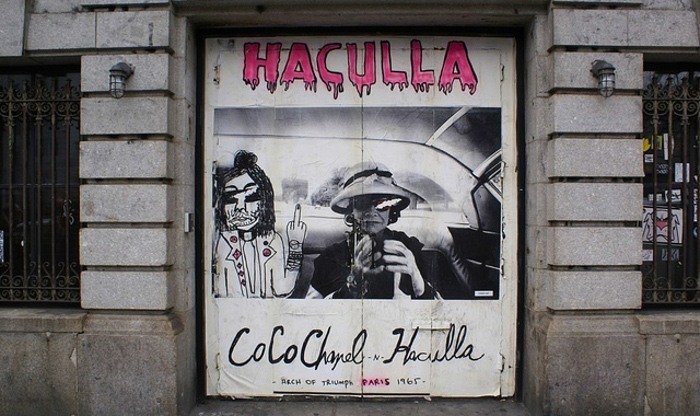 The artist is known for creating a wide range of versatile works – from street art pieces featuring his alter ego Haculla, to photographs and paintings of female subjects and mixed-media collages. Through his works, Harif makes clear that he does not want to be labeled as one specific type of artist. Born in 1975 in Venezuela, Harif spent his childhood years surrounded by his mother and sisters. His artistic aspirations were influenced by his father, who was a printer and typesetter. Growing up, Guzman worked in his father’s print shop and gained an appreciation for mechanical reproduction. When he was five years old, in 1980, Harif and his family moved to New York. From his perspective, Guzman now considers New York not only home but his canvas and great inspiration. During a period of time when he was homeless, Guzman began tagging his name on the streets of New York. He became recognized for his alter ego Haculla, the character that has later become an iconic figure in New York street art scene. His work inhabits and extends a tradition of extemporized collage and assemblage, such as works of Kurt Schwitters in the 1920s Europe, and also in contemporary America via the precedence of Robert Rauschenberg, Jean-Michel Basquiat, and the early gritty Pop Art paintings of Mike Kelley. 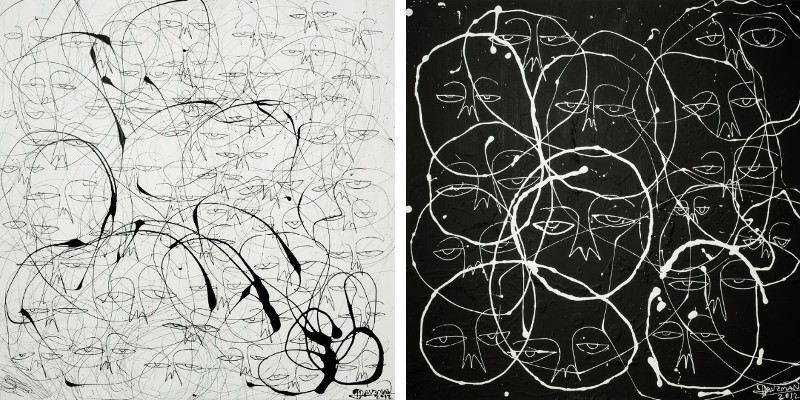 Guzman sees his practice, in which he transforms humble materials into powerful artworks, as a parallel of his life’s transformation – from shop worker turned street-smart skate punk, to a worldwide, well respected contemporary artist. 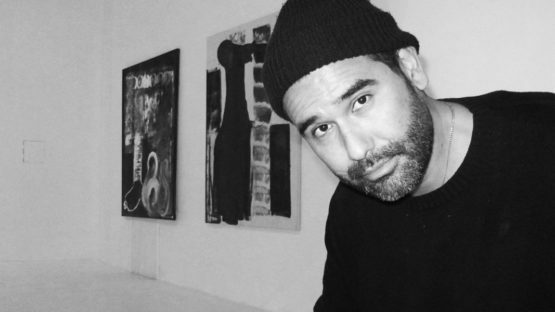 Celebrity collectors like Tommy Hilfiger, Uma Thurman and Dag Cramer have served as great supporters of Guzman’s shift from street artist to acclaimed contemporary painter. Harif Guzman lives and creates in New York.